The conference, taking place at 30 Euston Square, London in March 2018, will provide significant insight into venous disease, male and female pelvic congestion syndrome and leg ulcers. Held over 3 days, the main stream will concentrate on one subject at a time, including thermal ablation, non-thermal ablation, pelvic vein embolisation, perforator vein disease and venous leg ulcers and live streamed procedures. The Leg Ulcer Charity, in conjunction with the Lindsay Leg Club Foundation will host leg ulcer sessions and workshops with internationally renowned experts in the field. The Science, Aesthetics and Practicals stream will see live demonstrations and in-depth discussions on treatments of arm, foot, temple and breast veins and Aesthetics in Phlebology along with diagnosis of Nutcracker & May Thurner syndromes and Air Plethysmorgraphy workshops and much more. Generally vein meetings tend to fall into certain patterns. The more academic meetings have a series of talks on a variety of subjects, often a mixture of clinical studies and basic science, either by invited experts or selected by abstract. The more didactic meetings tend to have expert speakers teaching about their own subjects. However few (if any) meetings focus on one subject at a time and take it from the basic understanding, through the latest advances, show how this works in practice and then allows delegates to ask questions. Who will get the most benefit from attending? The College of Phlebology has always been a society that offers mutual advice and support to anyone involved in phlebology. Until this meeting, this has only been possible through our online forum. This second international meeting is aimed at helping build the community that we have been developing online, allowing members to meet, learn and exchange ideas and experience. 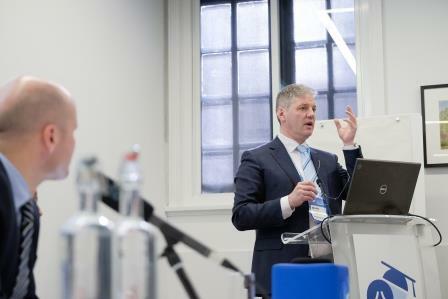 We believe that anyone dealing with patients with varicose veins, pelvic congestion or other venous disease, or looking after patients with leg ulcers, should benefit greatly from this meeting. Abstract submissons are closing soon. Don’t miss out. Submit yours now.